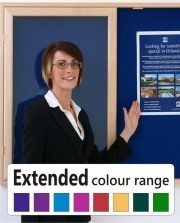 Internal Notice Boards: When it comes to Internal Notice Boards we offer a very large range to suit all locations and all budgets. 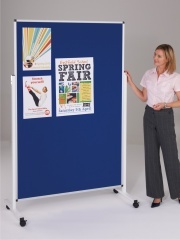 Our range includes Aluminium Framed Felt Notice Boards, Wooden Framed Felt Notice Boards, Locking Wooden Framed Felt Notice Boards, Mobile and Freestanding Felt Notice Boards. 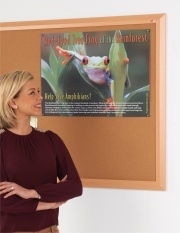 Our range also includes Antibacterial Notice Boards, Sundeala Notice Boards and Combination Drywipe Whiteboard and Felt Notice Board combinations as well as Natural Cork Backed Notice Boards. With such a wide range of Internal Notice Boards we are sure that you will find a Notice Board that matches your requirements. 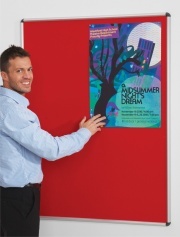 Our range of notice boards are ideal for use in Schools, Colleges, Nurseries and Universities. 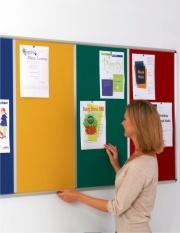 If you require a new school noticeboard we are sure to have one to suit you.